In the occupied Crimea in Sevastopol, residents are outraged with the work of intercity public passenger transport. In social networks Crimeans complain about inconvenient schedule and routes of the buses. “I want to put State Unitary Enterprise Sevelektroavtotrans with their innovation on buses on the black list. Could everything be arranged normally in advance? Could you find out the schedule of bus routes on which you are going to put your vehicles? Buses 129 and 134 were to follow the old schedule till the end of March. Yeah, of course! Let’s create as many inconveniences for people as possible! You did it! The schedule is awful, a gap in it is from 10 am to 5 pm. And don’t people need to go to Balaklava in the daytime? To this the respond was that the driver is supposed to rest in the daytime, and why, they say, you would go there in the afternoon. People go to work in the morning and in the evening from work. They say, sit at home in the afternoon. And how to get to the polyclinic? Yes, you never know what else! On these routes there must be two buses, but there’s only one bus and one route 129. Bus number 134 does not work at all! And why are buses not preferential? Fed up with this mess!! !” the locals write. 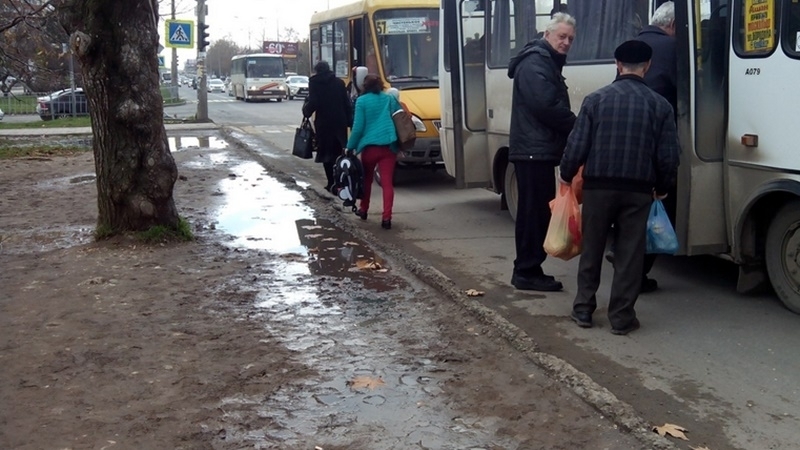 Residents of the occupied Simferopol also say that the state of the city bus stops and roads near them is terrible. Moreover, some local residents added that there was no official stop at the indicated place. The Crimeans accuse the "authorities" of the fact that, they cannot put the territory in order even if there was not a stop. Earlier, it became known that a well-known mural with the image of the Head of the state-invader Vladimir Putin in the occupied Sevastopol was painted over. Graffiti on the wall of the house appeared in 2014. It was known not only because it was the first "cave" image of the president on this scale, but also because Putin's hands fell directly on the air-conditioners hanging on the wall.